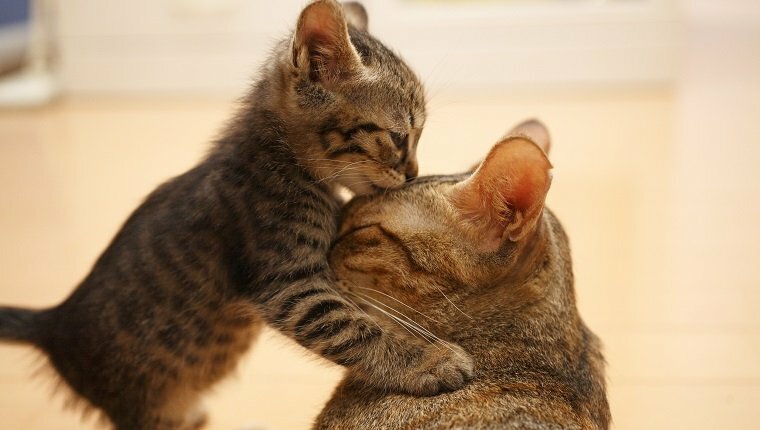 Cats are fairly independent animals, so it may come as a surprise that separation anxiety in cats isn’t all that uncommon. 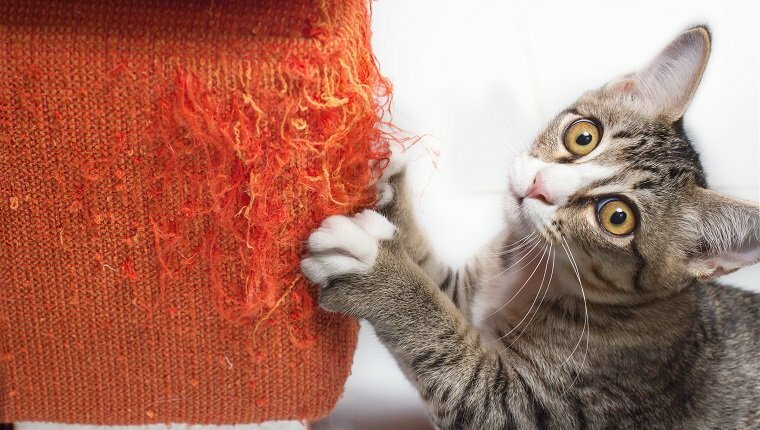 Separation anxiety can be the root of many unwanted behaviors, and reducing your cat’s anxiety will keep them happier, healthier, and less destructive when you leave home. 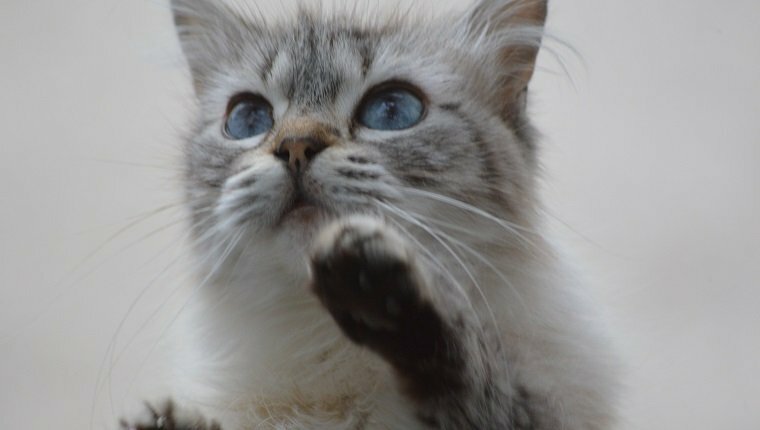 If your kitty shows signs like vocalizing while you leave, clinging to you, or hiding as you go, separation anxiety may be the cause. Additionally, while you are gone, your cat may pee or poop outside of the litter box, make loud vocalizations that disturb the neighbors, vomit, claw at your furniture, or groom excessively. Anorexia can also be a symptom of separation anxiety. 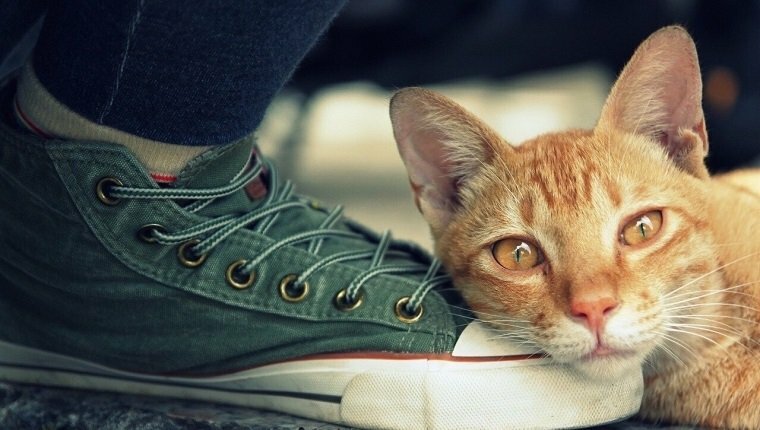 There are some surprising causes of separation anxiety in cats, and some only get separation anxiety when their owners are gone for long periods of time. If your cat is only anxious when you are away traveling, there may be other specific methods of reducing anxiety while you’re gone for days. 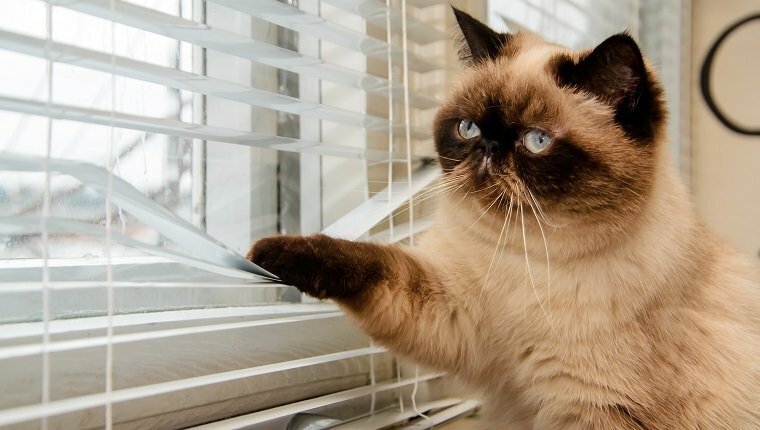 Separation anxiety can vary quite a bit from cat to cat, and not all tips will work for you. Discussing the problem with your veterinarian can help you determine what the cause is and what the correct course of action will be for reducing the anxiety. Here are a few tips for reducing day-to-day separation anxiety when you leave the house for shorter periods of time. 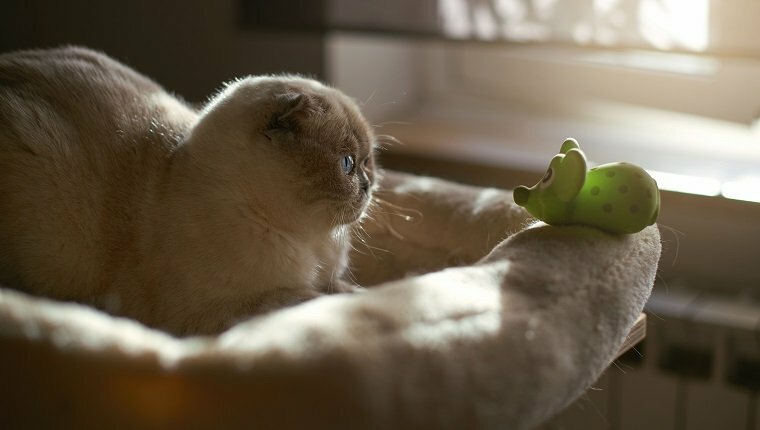 It may seem unnatural and even heartbreaking to leave your precious kitty without saying goodbye, but your fond farewells may actually trigger your cat’s anxiety. Your efforts to calm your cat as you leave may also clue them in to something being out of the ordinary, which is a cause for stress. It’s best to skip the goodbye and just leave. Additionally, when you return, do not make a big fuss about being reunited with your kitty. Stay calm and only acknowledge your cat when they are calm and any unwanted behaviors like clawing or loud vocalizing have stopped. Do not reward attention-seeking behavior. If your cat reacts to cues that you are leaving–for example, you putting on your shoes or grabbing your car keys–try doing these things without leaving several times during the day. Grab your keys and put them down repeatedly. Put on your shoes, then take them off. Even try stepping out the door and immediately coming back in. Eventually, your cat may lose interest in these cues and no longer come to associate them with your departure. This may take quite a bit of training, and you may wish to consult a professional behaviorist for further advice. Some cats develop anxiety when they are not mentally or physically stimulated enough. One way to make sure your cat stays stimulated is to leave plenty of toys and puzzle feeders that they can use to keep their brain and body active. This will also provide a distraction that will keep them busy instead of focused on the fact that you’re gone. You may also try leaving the television on, as the audio and visual stimulation may further distract them. Feliway makes a room diffuser product that releases pheromones that can be very relaxing for some cats. Catnip can also have a calming effect on some cats, and for those kitties that are immune to catnip, there are alternative plants that produce similar reactions in felines. 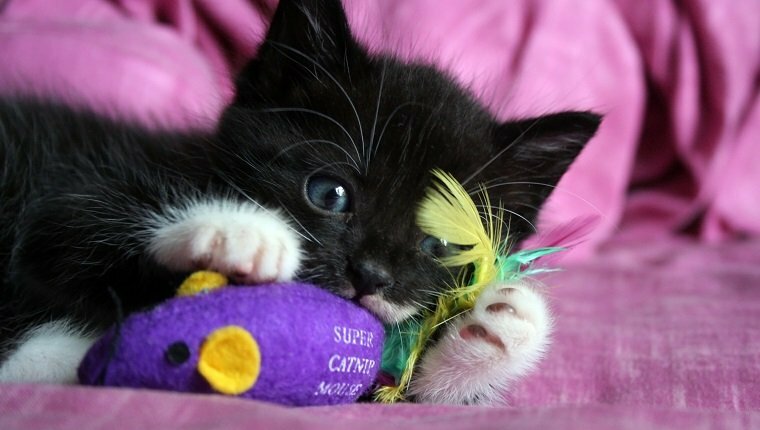 A catnip toy can help reduce boredom and provide some stimulation and distraction, as well. Make sure to test these products with your cat before you leave. Some cats can actually become excited by catnip, so know how your cat is going to react. Did you know boxes can actually reduce stress and aid recovery for cats? Boxes provide a comforting hiding place where cats can feel safe. High perches can allow your kitty to get a vantage point to look out over their domain and feel confident that there is no danger in their territory. 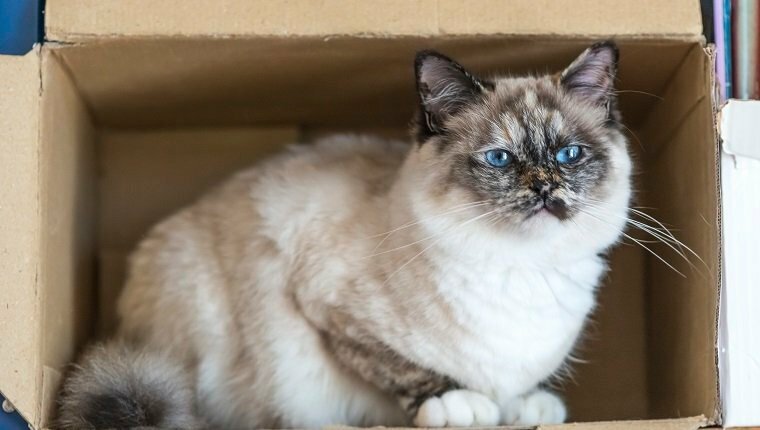 Additionally, boxes and places to climb provide cats with more mental and physical stimulation, which will help burn off some of that anxious energy. If everything else fails, you may want to see your veterinarian to find out if medication is right for your cat. Some anti-anxiety medications are given as needed, while others are used daily and take time to build up in your cat’s system. Make sure you follow instructions closely and do some research to find out how your cat may react to medication or develop side effects. You may want to think about getting a friend for your cat so they can have some company while you leave. It is important, however, that you find out how your cat will react to another pet being present. A good way to do this is to introduce your cat to someone else’s pet to see how they handle another animal in their territory. If that goes well, you may wish to temporarily foster an animal in need to see if they interact well and if the presence of another cat or dog reduces the anxiety. Eventually, you may wish to adopt, which will help your cat with the anxiety, give another animal in need a home, and give you more years of love and happiness. What other ways have you tried to reduce separation anxiety in your cat? Have you tried any of these methods? Let us know in the comments below!